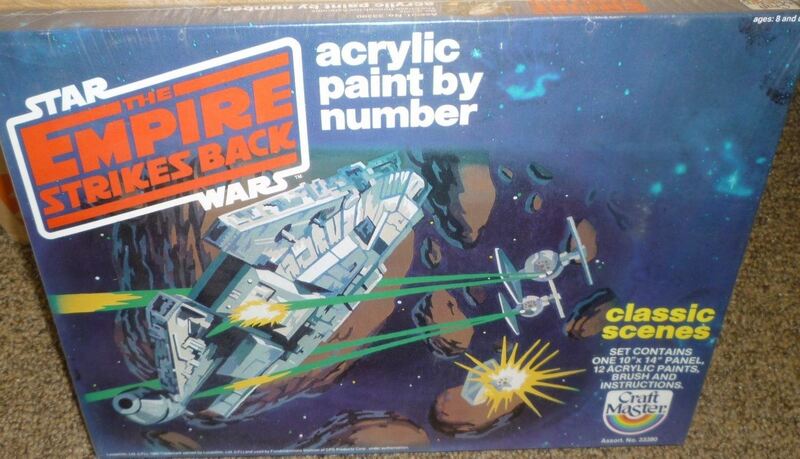 This Acrylic Painting by Numbers set by Craft Master was released in 1980. It is currently on ebay with a “buy it now” price of $55.99, which isn’t an unreasonable price for a vintage piece and it is still shrink wrapped. I’m sorely tempted, but $55 plus another $35 for shipping and customs it too much for me at the moment. The Star Wars collectors Archive doesn’t say too much about it. Mike advised me to wait for a while as these come up fairly regularly and at much better prices. I managed to pick one up for $27. This entry was posted in Art, Vintage and tagged Art, Millenium Falcon, Millennium Falcon, Star Wars. Bookmark the permalink.